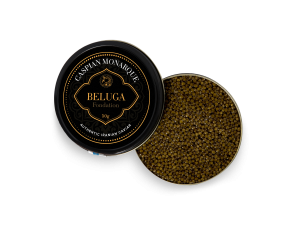 A wondrously effervescent treat that guarantees all the wealth of gastronomic divinity so desired by caviar lovers across the globe. With our beluga sturgeons reared and processed organically in their native habitat of the Caspian Sea, a prehistoric breeding ground for nutrients and minerals, our La Maison Beluga is subtle yet overflowing with a richness of flavor and natural goodness. 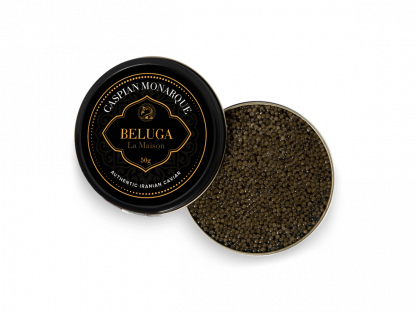 An impressive grain rendered in silvery grey, guaranteeing a bountiful taste experience that one simply cannot find anywhere else. 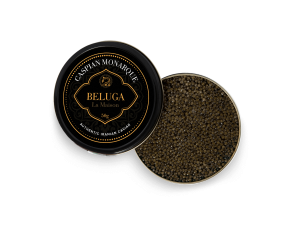 If you’re looking for a classic caviar that would have been experienced by the likes of Alexander the Great, then the La Maison Beluga is the caviar for you.